Fire Mike Pettine! OK, then what? The Cleveland Browns head to Cincinnati for a primetime game on Thursday night with the undefeated Bengals. 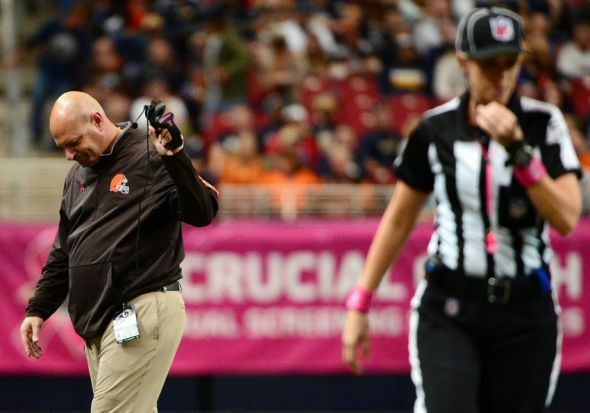 The Browns will enter the game losers of three consecutive games, five of their last six and 11 of their last 13. If the Bengals roll over the Browns like many people are expecting, the Browns will have 10 days off to ponder the reality of a 2-7 record and seven games of playing out the string. That 10-day break will give the media and fans plenty of opportunities to call for head coach Mike Pettine to be fired. To find out, head over to our latest post at Dawg Pound Daily.